Bank of Greece (BoG) Gov. Yannis Stournaras stayed "on message" on Friday, saying the country's economic recovery depends on continued - and agreed to - reforms, privatizations, a significant reduction of NPLs burdening Greek banks and lower tax rates, according to naftemporiki.gr. 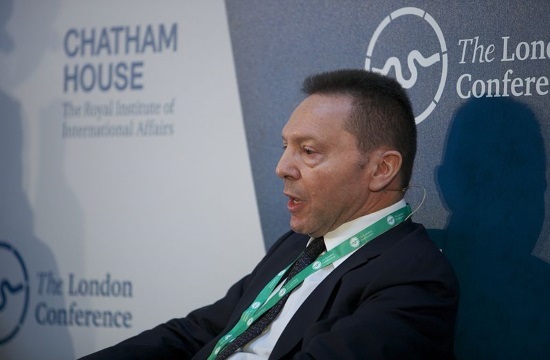 Stournaras, a recurring "thorn in the side" of the current leftist government since it assumed power in 2015 as well as a former finance minister in the preceding government, added that the Greek economy continues to grow despite a slowdown in the global economy as well as the risks its faces. He spoke during an event organized by the Association of Northern Greece exporters. The central bank governor pointed to another highly advertized government spending decision as entailing a possible risk to fragile economic recovery, a reference to a unilateral decision by the labor ministry to raise the minimum monthly private sector wage scale in the country by nearly 11%. Critics have pointed out that if a pre-legislated lowering of the tax-free annual income ceiling is implemented on January 1, 2020, then the "lion's share" of the wage hike will end up in state coffers, with wage-earners seeing only a few euros more in their pockets and with employers' payroll costs again burdened without a commensurate increase in competitiveness. Stournaras ticked off five "warning bells" for sustained economic growth: a high public debt, which has nevertheless become more viable after medium-term debt relief measures; ballooning NPL values, which account for a whopping 45.4% of all loans extended by Greek banks, and when the EU average is 3.2 percent; the country's negative net investment position internationally along with a current accounts deficit; high unemployment, and finally, a low long-term growth potential due to "brain drain", combined with an aging of the population and low investment rates.